Sorry for being away from my blog for a very long time. I was busy with a lot of things happening on personal and professional front. But, here I am sharing some of more experiences related to new encounters with various Sections of Sitecore! 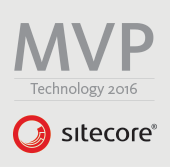 Hope you are enjoying using Sitecore PXM with Indesign and creating amazing documents from Sitecore Items? While working, a few designer friends asked the development team – Hey, how do we store the reordering of the pages done in InDesign back to Sitecore? The thing that we have noticed, is that Design Team generally uses Pages Tab in InDesign toolbox to reorder the pages. But obviously, how can that be stored in Sitecore. When we are confused with directions on Life, we go to God, and when we were confused with things in Sitecore, we approach Sitecore Support team. And that’s what we did. Designer loads the Print Studio project in Adobe InDesign. There are already some pages available, which were created previously. The designer adds a new page to the Project, using the (+) button on the top in Projects Tab – The page gets added and is placed as the last page in Pages Folder. As the page is a cover page, the designer tries to reorder the page to the beginning of Print Studio Project – or the main Document – but there is no such way in the options in the Projects tab Also, Drag and Drop in the Projects Tab – on the Pages Folder – creates a new page. So the designer goes to the Pages Tab – right-clicks on the page to be moved and moves it to the desired location – but the change isn’t reflected in the Projects Tab, where the Print Studio project is loaded. The Designer closes the document, refreshes the document and loads the Print Studio Project again, but the page reordering changes are lost. 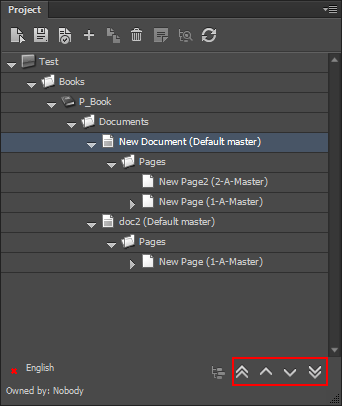 The solution was pretty simple, instead of using the Pages tab to reorder, we need to use the Arrow Buttons given in the Sitecore Connector – Logical as well – as that’s the way it would be able to communicate the change from within InDesign to Sitecore. Special thanks to Paul Kravchenko for helping us out with this.